"Stories from a True North Journey"
Welcome to “Stories from a True North Journey”, a new "life story" series that we've created – just for you. In this series, you’ll hear snapshot stories from True North Community Members and Guests who are focused on and committed to living more intentionally in their work + life. Inspiration for your own True North Journey! Each interview will be about 30 minutes with the goal of providing high value while honoring your time. SUBSCRIBE: Be sure to subscribe to our YouTube Channelto receive notifications when new episodes are available. Alexandra is a Northern born, Southern loving bubble of energy and optimism. She lives in Auburn, AL with her Husband and 2 dogs. You can often find her hiking, baking, and listening to the Dave Ramsey show. Dany and Lesley live in beautiful Boulder, Colorado with their two daughters. After meeting and falling in love at the “End of the World" (Ushuaia, Tierra del Fuego, Argentina), all signs were leading Dany to eventually leave his home country and make the move to Lesley’s home state of Colorado. Dany opened and built a successful brewery (Upslope Brewing Company) while Lesley was teaching and going to grad school. After having kids Lesley began to stay home with their daughters and they have since started a software business. They have continued to work on building a fulfilling lifestyle - spending time with friends and family, traveling and enjoying all the beauty and adventures that Colorado has to offer. After leaving her 9-5 job in Toronto, Sara felt completely lost. She was finally out of the rat race, but not sure what would make her feel truly happy. Through lots of “happy accidents”, she discovered a love for homesteading and sustainable farming. Her journey has taken her all over the world, as she’s learned how to tack up and ride horses, preserve food, milk a goat, make fresh cheese, and grow her own food. From stretching her comfort zone and continual learning, she’s discovered who she is and what she is truly capable of! As a digital nomad, Sara supports her web design and development company clients while she travels, periodically taking on house sits while looking for a place to truly call her own. When she is not working or traveling, you can find her enjoying nature or quietly reading under a shady tree. Take some time to look at your own True North Journey and think about your core values. Have a good sense of what those core values are? Need some help identifying them more clearly? 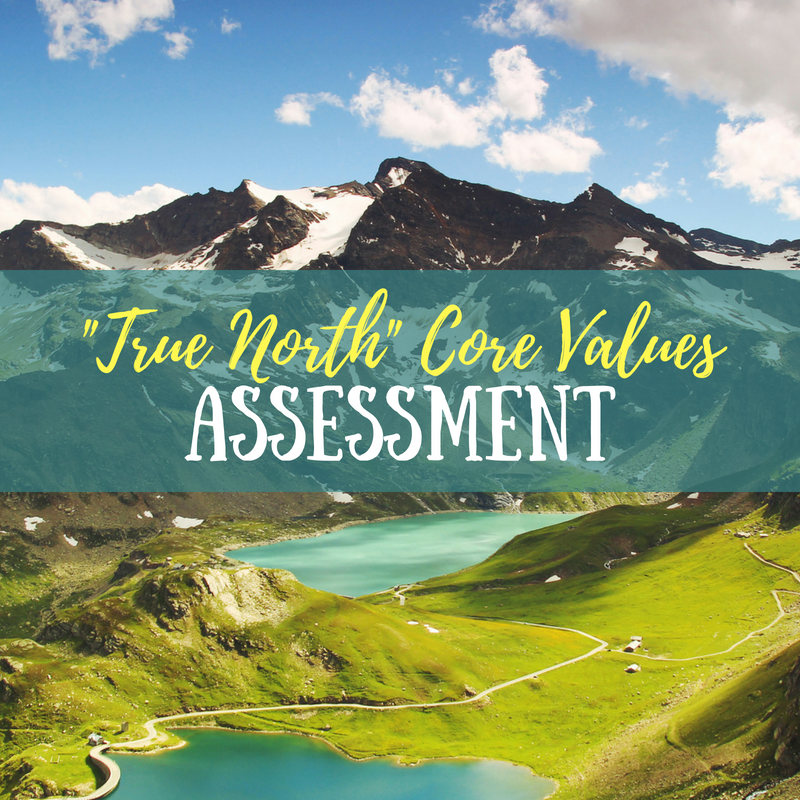 Be sure to take our FREE True North Core Values Assessment™ to help you get more clarity. The closer you align your values to your work + life … the more joy, purpose, and meaning you will experience.